Sure, the season ended on a low note (that was a quarter-step flat to boot), but would it have made sense any other way? The Philly native was a consummate professional, setting an example for an young team about what it means to play with pride. 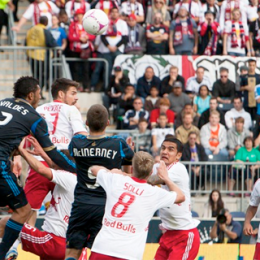 PSP photographer Michael Long’s look at the season ending loss against New York Red Bulls. 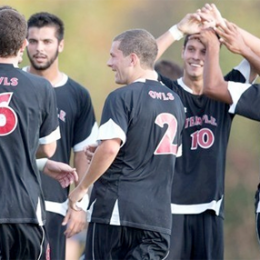 Temple and Villanova clinch playoff berths. Roundup of the week’s Philly Soccer Six results, conference standings, leading scorers and upcoming games. 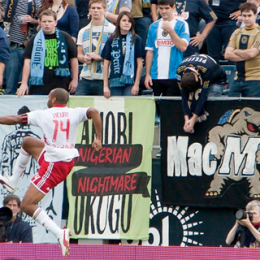 Gabriel Gomez says he doesn’t think he’ll be with Union in 2013. Le Toux on where he’d like to play. 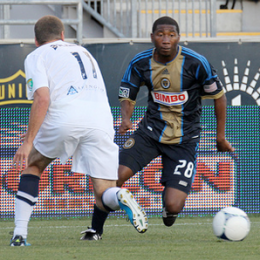 Cruz believes Union can be playoff contenders next season. 5-step plan to turn the Union around. More morning news. Will Hackworth be able to progress forward from what has become a predictable and conservative tactical approach? Valdes and McInerney call for signings. Hackworth says work begins today on reviewing the season and letting players know where they stand. 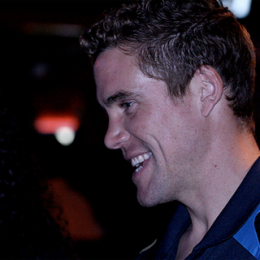 Hackworth denies decision on Adu’s future has been made. NBC wins EPL broadcasting rights. More. 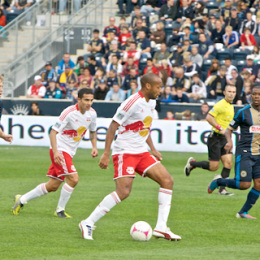 With a 3-0 loss to the visiting Red Bulls, the Union finished 2012 in the same manner with which they began with three straight losses.